There’s no arguing the fact that Graduated Driver Licensing (GDL) systems can help to save lives. According to the National Safety Council (NSC), there have been a number of studies that have shown the correlation between the declining number of 16- and 17-year-old driver accidents and the GDL program. On the other hand, 18- and 19- year old drivers are producing conflicting results. Up until recently, a number of researchers have concluded that the GDL restrictions might encourage teenage driver to wait to get their license until they’re 18-years-old, which is when the GDL restrictions end in most states — including in the state of Massachusetts. Our Boston car accident lawyers understand that drivers who wait until they’re 18 to get their driver’s license can actually hinder their abilities behind the wheel and severely increase their risks for an accident. This is mainly because they’re not provided with the supervised driving time. According to a recent study from the AAA Foundation for Traffic Safety, teens failing to participate in the GDL program may have little to do with the driver’s desire to delay licensing, and more to do with things like the struggling economy. Receiving a license really isn’t the same rite of passage into adulthood that it used to be. According to the recent AAA study, researchers suspect that because most states’ GDL systems only apply to new drivers younger than 18, GDL laws might encourage young people to wait until age 18 to obtain a license to avoid the requirements and restrictions associated with GDL, resulting in older teenagers having less driving experience and higher crash risks. As it stands now, less than 45 percent of teen drivers get their driver’s license within one year of the minimum age for licensing in their state. 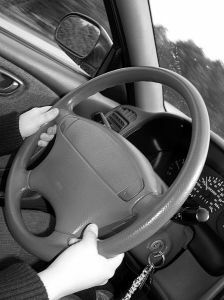 Only about 55 percent of drivers reported that they got their driver’s license before turning 18. Among young adults who lived in households with annual incomes of $60,000 or more, 60 percent were licensed within one year of their state’s minimum age for licensure and 72 percent were licensed before age 18. If you’ve got a teenager in your family, it’s critical that you provide them with plenty of supervised driving time. Even when they’re no longer required to complete the stages of Massachusetts’ GDL Program, you’re urged to keep an eye on their driving habits. Ride along with them often to make sure they’re developing safe driving habits. When they’re out on their own, make sure they’ve got a curfew as accidents are more likely to happen when the sun sets. Also, you want to make sure they’re keeping the number of passengers in their vehicle to a minimum. The more passengers they have in their vehicle, the higher their risks for a collision. If you or a loved one has been injured or killed in an accident, contact Jeffrey S. Glassman for a free and confidential consultation to discuss your rights. Call 1-877-617-5333 today!